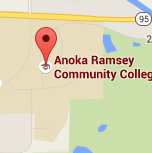 We’re glad you plan to attend Anoka-Ramsey! Minnesota resident senior citizens, 62 years of age or older, may enroll in credit courses on a space-available basis at a reduced fee of $20 per credit! 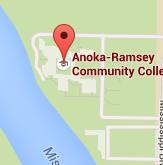 Minnesota resident senior citizens are not charged tuition when auditing a credit course or taking a noncredit course. The request to audit a course must be made at the time of course registration. Regular and special fees, books and materials are the responsibility of the student. Senior citizens wishing to guarantee their enrollment in a course may register earlier, but would be required to pay full tuition and fees. If you want to take a college-level English or Math class, you need to take the Accuplacer to determine eligibility. Other classes do not require placement testing. Senior citizen reduced-fee registration begins the first business day after the first class session. After the first day of classes, go to the Records and Registration window to enroll in your selected class on a space-available basis.